ThinkNature is proud to announce the Horizon 2020 “Paris Forum on Nature-Based Solutions. 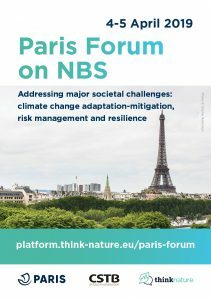 Addressing Major Societal Challenges: Climate Change Adaptation-Mitigation, Risk Management And Resilience”, to be held in the City of Paris (France), on April 4 – 5, 2019. 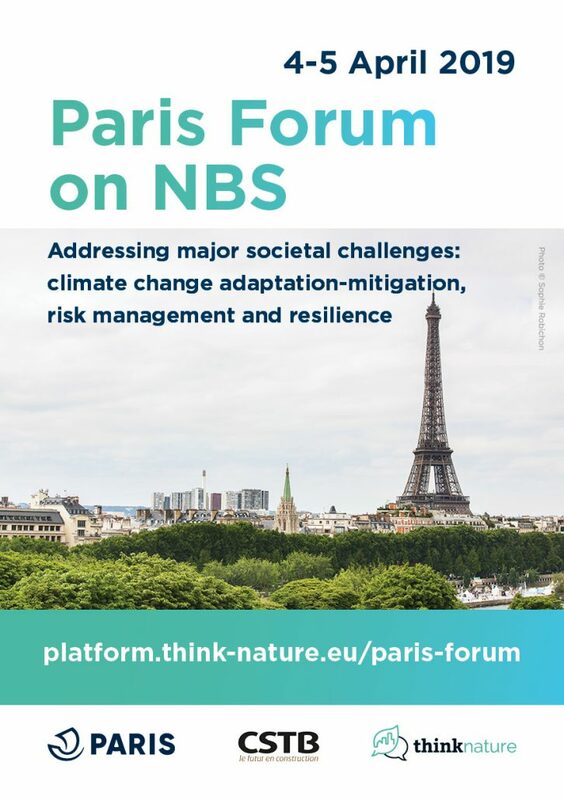 This Forum is an initiative of the coordination platform ThinkNature, and is co-organized by the Scientific and Technical Centre for Building (CSTB) and Paris Municipality. The Forum will be a lively debate among multidisciplinary participants on the current knowledge and ongoing research on Nature-based Solutions, in relation with the main topics of climate change adaptation and mitigation, risk management and resilience. It will also explore the governance and financial mechanisms, the dialogue on knowledge gaps, the research agenda and the road map for future actions. The format is designed to promote the dialogue among multiple participants and stakeholders from different sectors and different backgrounds. It will include inspirational talks by lead experts and parallel interactive working sessions. It will also bring together representatives from the European Commission and other international institutions dealing with Nature-based Solutions. European-wide demonstration projects and representatives from “Frontrunner Cities” will showcase their actions and researches.